Every week the editors at iMore carefully select some of our favorite, most useful, most extraordinary apps, accessories, gadgets, and websites. 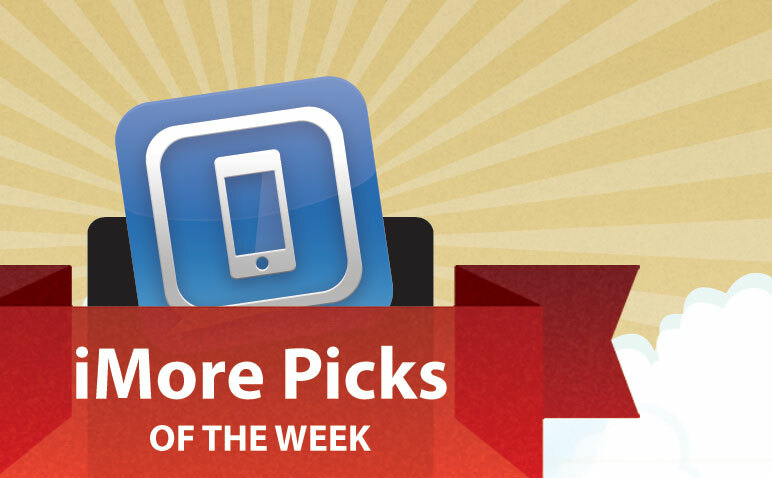 This week's selections include a jailbreak app to manage off-device media, a sheet music app, an app for social networking, a video player that lets you watch old-school movies, and a popular virtual pinboarding app. This week’s pick is a jailbreak app that I use all the time and is the only reason I keep my iPad jailbroken. When it comes to managing off device media the iPad with App Store apps is just not good enough. Air Video and other similar apps do a decent enough job of letting you access media on a PC or Mac but everything that is in a non Apple approved format needs to be encoded on the fly and it means the process is slow and a little ugly. With XBMC I can connect to my NAS (Networked Attached Storage) box and access all of my content straight over my network, it plays all sorts of file types like AVI and MKV as well as MP4 and M4V all without any encoding or delay; the picture quality is excellent too. XBMC is a highly customizable app and if you are prepared to invest a little bit of time with the app itself and how you store and name your media on your NAS it can look absolutely stunning with the correct meta data. XBMC is available as a free download from Cydia and it works on the iPad, iPhone and iPod touch. Last week I was in guitar mode, this week I am back in piano mode – my primary instrument. There are lots of apps for purchasing sheet music and others for instruction. What makes Steinway Etude unique is that it combines both functions in one app. First off, Steinway Etude is a music store where you can purchase sheet music. There is a pretty good selection of music from pretty much every musical category. Most songs are about $3.00 which is not terrible compared to pricier services such as Musicnotes. Once your music is purchased (and there are some free songs to download as well) you see it on a bookshelf – reminiscent of iBooks. Tap the song you want to play and you have the main screen. Touch the Play arrow and you will hear a midi version of the song play, following along the notes in the song. 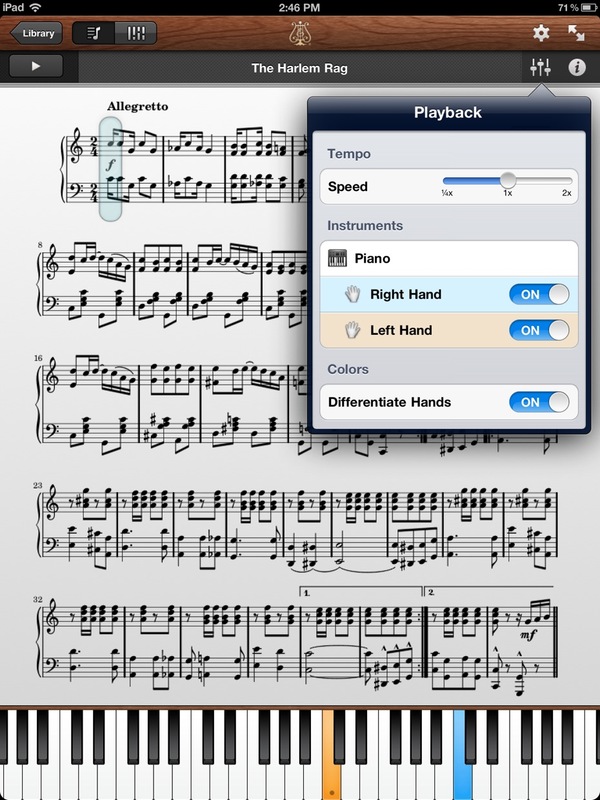 There is also a small keyboard at the bottom showing you which notes to play. For beginners, this is a great feature; you can see how to play the song, hear how to play the song and then try to play it on your own. I usually maximize the window to just see the song – but its nice to know that if I ever did get stuck I could listen to parts of the music to help me along. Options are a plenty in Steinway Etude. You can adjust the tempo, turn on or off the right and left hands on the keyboard below, differentiate the hands with unique colors, change the background and more. Pages just slide left to right and page turns are quick (which is key for a music apps.) All in all, this is a very useful app with a good library of music to purchase and the ability to learn while you play. So, I’m one of those few people who still uses Google+. I’m also a sucker for gorgeous iOS apps, so when Google recently updated their Google+ app, I was happy. The app is mainly a significant UI improvements. Its certainly easier for a human to understand, navigate and use, as well as overall being cleaner. Its clearer how you can switch between ‘Circles’ to get the posts you want. Instead of having multiple circles which you change by swiping side to side, you get one stream which is changeable through a simple drop down menu. While not a new feature, I use Google+ hangouts on the iPhone all the time, and I think, for a 10-way video call it is implemented very well. I have a Google hangout with friends every weekend, with the app, I can join it where ever I am. There are still some gaping holes in the app; the ability to post YouTube links and getting an embed preview, editing posts and comments, and the fact that your display picture is just a small landscape section on your menu-screen, so it doesn’t show your display picture properly. However despite all these flaws, I still really like this app. Its certainly better than the Facebook app (even on iPad). My pick this week is pure joy. 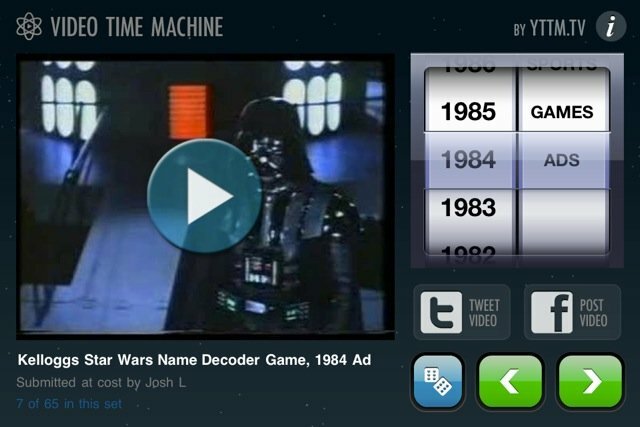 Video Time Machine is a sweet little app that allows you to watch all kinds of things from years gone by. One of my favorite activities on YouTube (and the internet in general) is find and watch commercials and shows from my youth. The app allows you to do this with a great interface that makes searching for a time period easy. You just roll the dial back to the year you want, select the type of content you want to see (TV, music, ads, trailers, video games, sports, etc.) and the app serves up the goods. Sharing to Facebook and Twitter is baked in, so you can get your friends in on it quickly too. There's no direct search right now, but that's also what makes it kind of cool - it's kind of like a jukebox on random. And it's a universal app that supports AirPlay, so if you want to throw it up on the big screen, you can do so. I'm really digging it, and I hope that more content gets added as time goes on. It's the perfect way to kill a few minutes and put a smile on your face. 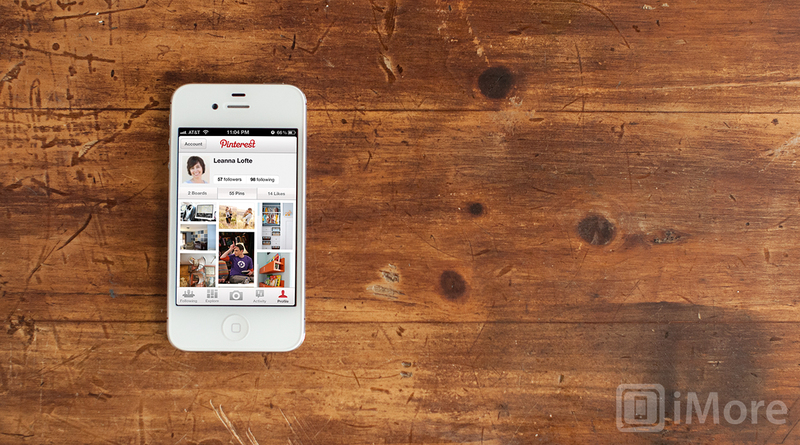 When the Pinterest for iPhone app first released, I hated it. It was terribly buggy and miserable to use. It's had several updates since then and it's now a great app. It's beautiful and runs great. I go through phases with Pinterest, but now that they have a solid iPhone app, there's a good chance I'll use it more regularly. What would seal the deal, though, would be if they updated Pinterest to be universal for the iPad as well. Hopefully soon!